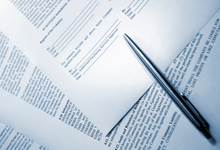 Investors Title Company, National Investors' parent company, is established. 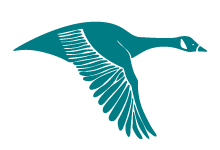 The Canada Goose is adopted as the corporate icon. The goose embodies the instinctive trait of innovation that has made National Investors the successful organization it is today. The “V” flying formation of a flock of geese is an instinctive innovation that sets geese apart from other species and has allowed them to thrive in a diverse range of habitats. The “V” formation represents a team effort to optimize not only the team’s aerodynamics, but control the overall speed to achieve objectives, expand the selection of habitat solutions, and provide the stability needed for them to thrive. It is our instinctively client-centric approach to developing innovative business processes and solutions that sets National Investors apart for our partners and clients. 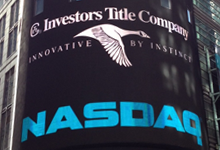 Stock begins trading on NASDAQ National Market under the symbol ITIC. Visit the investor relations section of this site for more information. Investors Title Exchange Corporation is established to provide 1031 exchange services and act as a qualified intermediary in tax-deferred exchanges of real property. Investors Title Exchange Corporation was one of the first organizations of its kind specifically structured to handle these types of transactions. Visit the Exchange Services page for more information. 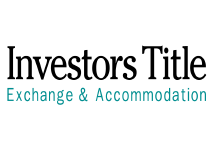 Investors Title Accommodation Corporation is established to provide an exchange accommodation title holder vehicle for reverse exchanges. Visit Exchange Services for more information. Launch of iTracs®- a proprietary escrow reconciliation service that features automated 3-way reconciliation, daily reporting of account activity, customized alerts of irregularities or critical errors, monthly third-party review, and audit-ready and state-bar compliant reporting. Teresa Frost, President and Agency Manager - Texas Market, named the 2014 Title Person of the Year by the Texas Land Title Association (TLTA). This award is the highest honor bestowed by the TLTA and is presented annually to an individual who has made significant contributions to the title industry and the TLTA. Investors Title, National Investors' parent company, was founded in 1972 by J. Allen Fine. Mr. Fine successfully raised the funds necessary to capitalize the company and take it public. 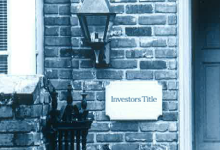 Title insurance dates back to the late 1800s, yet the volume of title insurance written remained low through the early 1970s. That changed dramatically when lenders began to sell their mortgages on the secondary market, a transformative event that Mr. Fine anticipated. As a result of his foresight, the Investors Title family of companies were established, have successfully expanded into select markets, and consistently maintain above-average profitability despite economic downturns. Click on the timeline for the major milestones in the company’s history.